Though people are immersed in their daily dose of technology, marketers believe that the traditional style of sending letters and postcards to their customers is still a successful marketing strategy. Along with other marketing strategies such as advertising, email marketing, digital marketing and social media marketing, the good old direct mail marketing seems to wave its magic on customers and increase the response rates, customer retention and value of the product or the service overall. The reason behind this is simple and clear, people love receiving letters in their mailboxes, personally addressed to them. Letters are certainly more emotional and personal than text messages or phone calls can ever be. The very fact that letters are limited and rare also makes them more valuable and treasurable. Though the words are less, emotions are more; though they are rare, they are special and though they are old, they are still loved. The same psychology is used by businesses to establish a personal relationship with their new customers and maintain the same with their old customers. There are many strategies used to increase the response rates of direct mails such as variable printing services, which are used to print mailers of different types for different groups of customers. Using real time stamps to create a sense of authenticity and trust is another such strategy. Hand addressed envelopes, though sounds simple, is one such powerful strategy that has worked wonders for many marketers so far. It is indeed intriguing when said that a strategy as simple as this, having hand addresses envelopes to enclose the mailers can have such a great impact. In fact, it is noted that hand addressed envelopes have a record 100% open rates, irrespective of what’s there inside them. So, what’s the secret behind these hand addressed envelopes and what’s so special about them that every direct mail marketer prefers using them? Read on to find out. • The first and foremost thing to be expected from direct mails is that they are very personal and heart-warming. Unlike cold emails and corny phone calls, beautiful and straight forward letters tend to win over customers. Having their name written on the envelopes in beautiful hand writing makes the customer feel valued and respected. A customer will acknowledge the time and effort that’s been put to personalize the letter and will certainly tend to open the envelope and see what’s in there. If marketers are looking to personalize their mails, a big bundle of personalized, hand addressed envelopes is what they need. • As mentioned above, direct mail marketers don’t shy away from admitting that direct mails sent in hand addressed envelopes have a 100% open rate. The above mentioned point is a clear reason why customers open hand addressed envelopes, it’s because they really feel that the letter was exclusively written for them and it wasn’t just a company mail that was sent to every other customer in that area or block. To simply put, hand addressed envelopes make your customers feel special and valued. • These hand written envelopes also create a very good first impression in the minds of your customers. Intrigued by the warm gesture and the beautiful hand writing, customers are naturally tempted to tear open the envelope and see what’s in there for them. Once they tear open the envelope, a catchy headline and a warm letter layout will further do the job of motivating them to take an action. • Higher open rates lead to higher response rates and higher response rates in turn lead to higher return of investment. Naturally if the customers are impressed by the hand addressed envelopes, they will be interested to see what’s in the envelope. More the number of people who will read the letters, more the responses the company will receive. Letters that include responding channels like QR codes, website links and contact numbers are likely to get higher response rates. And logically, higher the response rates, higher the return of investment (ROI). 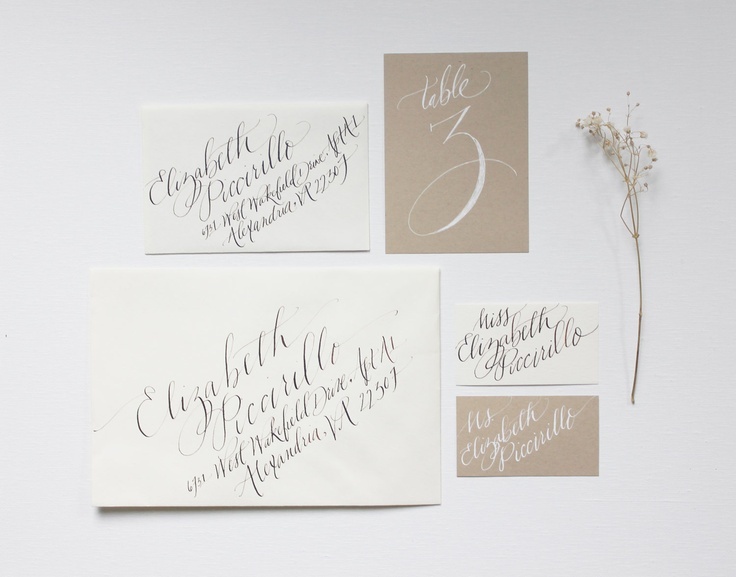 In addition, it doesn’t really cost much to personalize the letters using hand addressed envelopes, as all it takes is a reliable database and a few skilled handwriting artists.